You’ve just gotten your crossbow, and you’re now probably wondering just what all it can do. How hard can it shoot? How accurate is it? How far can it shoot? 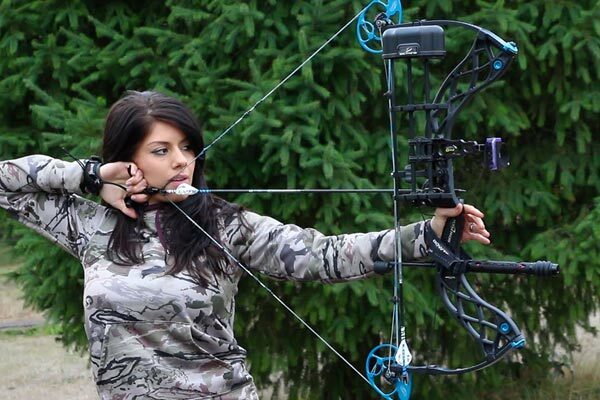 These are all good questions, and many first-time crossbow owners ask the same things. Crossbows are a different kind of weapon that is used for hunting and target shooting. They are not totally like a gun, but they are not totally like a bow either. In fact, crossbows are unique, and each one shoots a little differently. If you are here wondering just how far your crossbow can shoot, then you’re not alone. In this article, you will find a little more information about a crossbow, how far it will shoot, and how accurate it can be at various distances. Here is what you should know. According to Hunting bow, Similar to a bow, a crossbow is more like a mix between a gun and a traditional bow. A crossbow is shaped like a horizontal bow with a trigger on the bottom. When you pull the trigger, the bow shoots out bolts that travel to the aimed are to penetrate the object. Crossbows are usually built pretty complex, but they are also rather simple to load, aim, and fire. 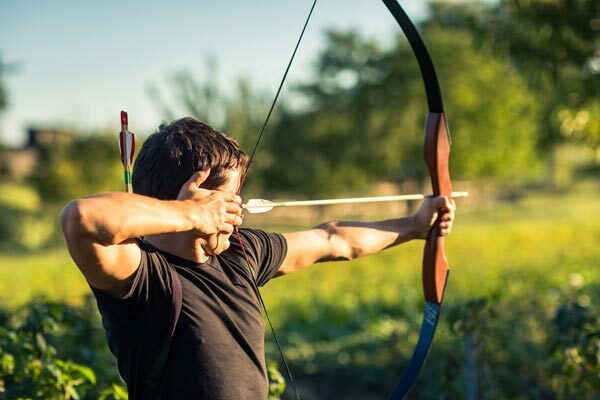 Crossbows had come quite a long way since their original conception many years ago, but they are still an important part of modern weaponry today. Many of the modern options have added features that can be adjusted and changed to meet the individual needs of the weapon holder. In fact, many hunters use these during bowhunting seasons to provide them with more control and better aim during the shooting process. There are several accessories that you can get for your crossbow that can help improve its overall function and performance. According to Crossbow Pistol, Scopes, silencers, strings, and even cases are important to both shooting and maintaining your crossbow. This is especially important if you are trying to shoot it from a long distance. How Far Can the Crossbow Shoot? 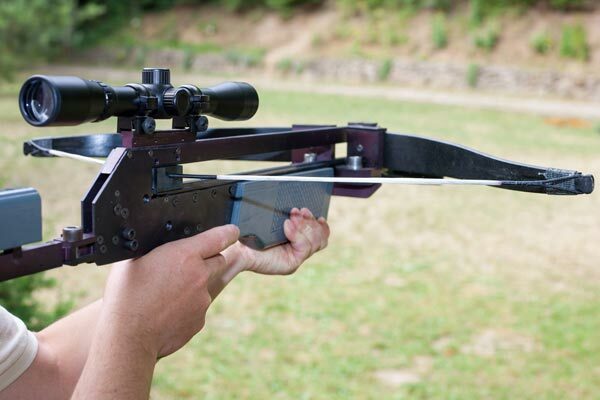 Since crossbows are easier to point, shoot, and aim, they can usually be shot at a far distance. You’re probably wondering just how far they can shoot, right? The easy handling and lighter materials make shooting at greater distances possible. There are several things to consider when trying to decide the greatest distance that a crossbow can shoot. First, is the conditions in which you are planning to shoot. If you are just target shooting, you might be able to shoot at a longer distance. However, hunting can be different. According to American Hunter, Your technique and the way you shoot are also going to greatly affect the distance with which you can shoot. If you feel as if you aren’t shooting far enough, you might want to check your technique to ensure that you are holding the crossbow the right way and aiming correctly. According to Crossbow Nation, Another factor to consider is the velocity, or the FPS, on your crossbow. If you have a higher FPS on your crossbow, you might find your bolts going at least 500 yards or further to their destination. However, lower FPS crossbows are going to shoot much shorter. This is important to consider when purchasing your crossbow. If you have a scope, which is rather beneficial for accuracy at long distances, it can have an effect on any distance shooting, whether that be hunting or target shooting. You need to ensure that you have the right scope to help you get the job done no matter what distance you are shooting from. How Accurate is It at Different Distances? The distance that you shoot from means nothing unless your shot is accurate and hits your target directly where you aimed. One of the biggest problems with trying to shoot from long distances is maintaining the accuracy of the shot at the same time. With a crossbow, you can add several things like a scope to help improve your accuracy, even while shooting at a long distance. In fact, the effectiveness of your scope can help or hinder your shot completely. How do you know you are getting a good scope for your crossbow? According to Crossbow Critic, When choosing a good scope for your crossbow, try choosing one that has a 3-reticle or a 3-dot option. The three different dots are there to help you aim better when dealing with the arrow drop that comes with long distance shooting. Arrow drop can be considered with the aim as well, but it might take a bit of practice to get the concept down pat. According to Hunt Daily, Another factor that you should consider about your accuracy is the type of shooting you are doing. 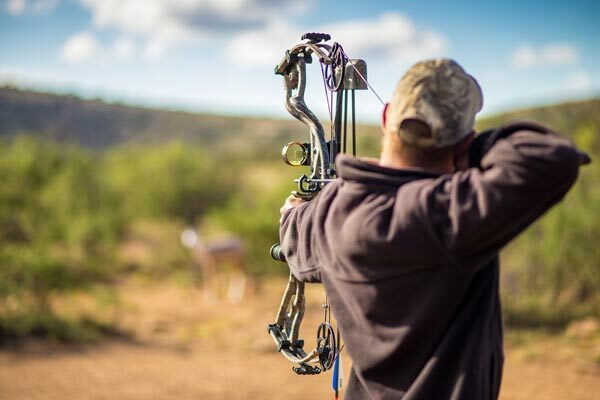 Just like with your distance shot, if you are hunting, you are going to be dealing with accuracy issues, especially if you are trying to shoot from a long distance. 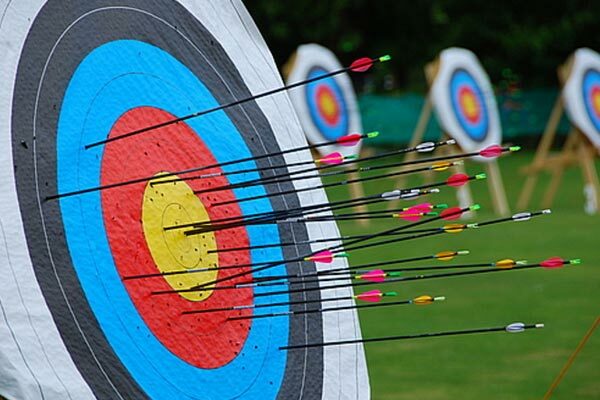 Target shooting has more room for errors, especially when dealing with the accuracy. However, if you are shooting from a long distance, your scope is still going to be a beneficial part of your practice. Utilize the reticles on your scope to help you learn the habits of yourself and your crossbow. Crossbows have always been an interesting and effective weapon when it comes to warfare and hunting. They have come a long way since their conception, but the weapon still remains one of the most used options for bow hunters in today’s society. When it comes to using your crossbow, shooting at a long distance can be both an effective means of hunting and target practice. However, accuracy becomes an issue when shooting long-range. Luckily, there are several ways to find out just how far you can shoot and maintain your accuracy. 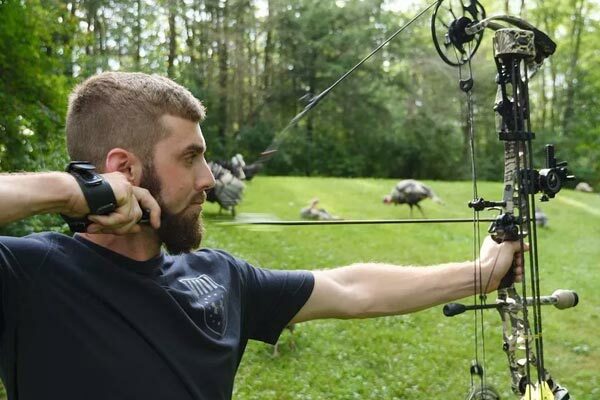 By using a good scope, practicing, and measuring out your distance, you can learn to shoot your crossbow with better accuracy from a long-distance than ever before. So when it comes down to the question of how far can your crossbow shoot, just remember that it can shoot only as far as you aim it.